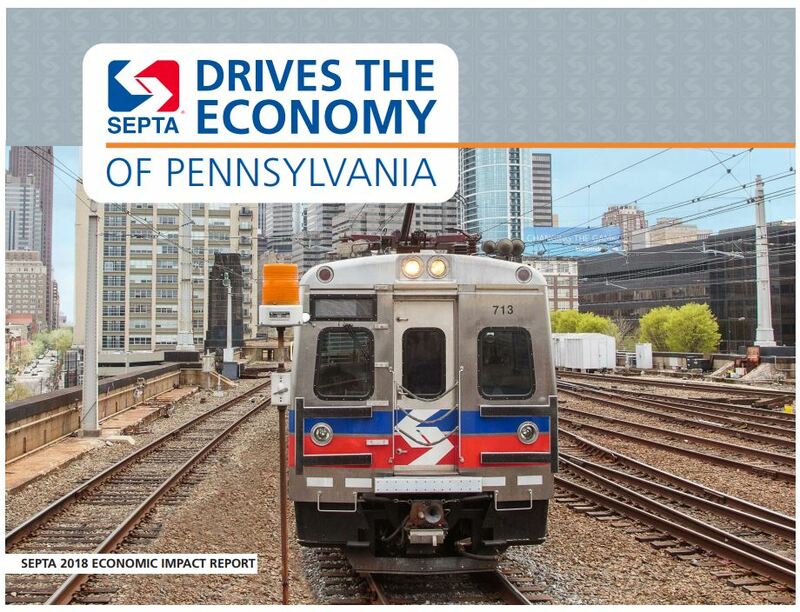 SEPTA Drives the Economy of Pennsylvania | Econsult Solutions, Inc.
SEPTA Drives the Economy of Pennsylvania is Econsult Solution’s 2018 Economic Impact Study completed for Pennsylvania’s largest transit authority, the Southeastern Pennsylvania Transit Authority. Our report to SEPTA is timely as the agency faces significant budget pressures, with looming changes of the contribution of Pennsylvania Turnpike revenues to state transit funding, along with increasing demands on capacity due to aging infrastructure and regional growth. As a large-scale employer, SEPTA is a major economic driver through its operating and capital expenditures, generating an annual economic impact in excess of $3 billion. More importantly, SEPTA’s transit service enables the efficient functioning of the regional economy and shapes development patterns. One way in which this value manifests is in the housing value premium enjoyed by suburban residents living near rail stations, which estimated through hedonic regression modeling, totals $14.5 billion. ESI developed interactive mapping to demonstrate the positive effects that SEPTA’s regional rail stations have on home values throughout Southeastern Pennsylvania. Our report reveals the significance of the agency to the Commonwealth of Pennsylvania and the southeast region of the state. Using economic, demographic, and fiscal data, ESI quantified the outsized contribution of the southeast region to the Commonwealth’s economy and tax base. Then, using economic and spatial analysis techniques, ESI demonstrated how SEPTA’s service is a key driver of regional economic activity, growth, and development. SEPTA published the report on their microsite. This Economic Impact Study is an example of how ESI helps make the case for Transit and Transportation. Key Technical Applications that ESI employed in conducting this study included Economic and Spatial Analysis and Interactive Mapping.